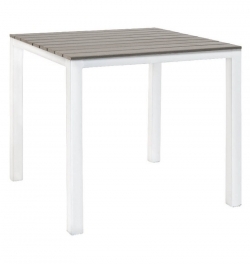 Attractive in quality and price, this patio table features a white metal frame and a plastic teak top in a grey finish. 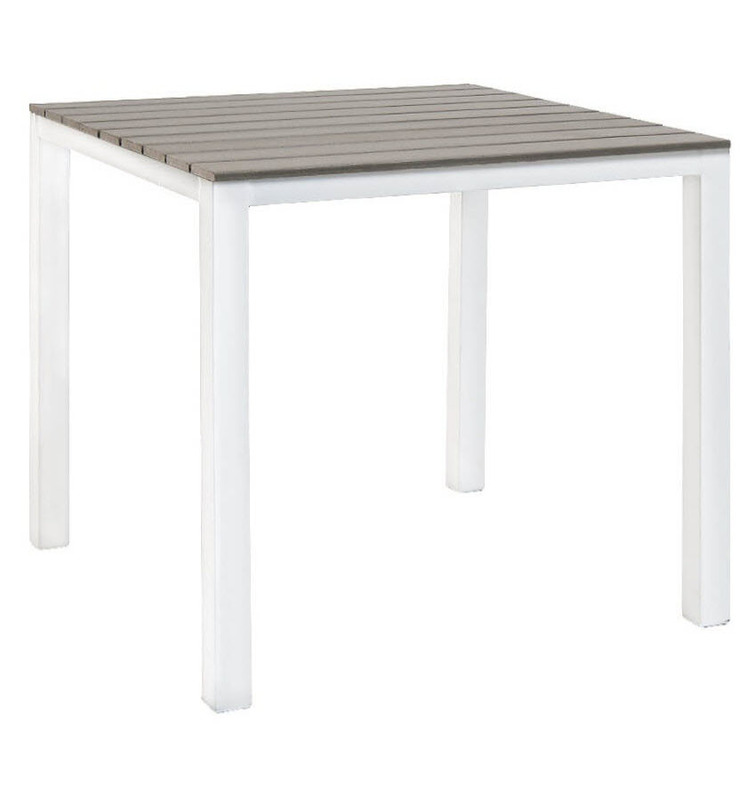 This patio table is popular for its weather resistant durable synthetic teaks. The metal frame provides maximum support to the table. What's more, it is designed to withstand environmental stresses and therefore ideal for patio use as well as indoor use.